Browse through our selection of recipes, using the Recipes Menu. Soups, hot dishes, salads & sushi, dressings - dips - sauces - spreads, baking, desserts, breakfast & brunch, drinks, remedies & skin care. Using organic products we sell at Piko Wholefoods. 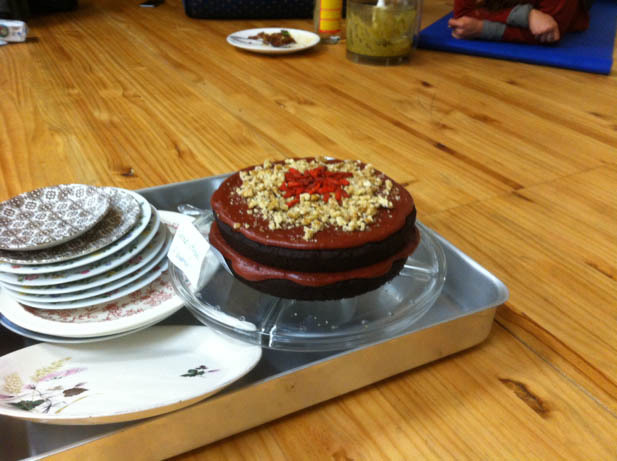 This Beetroot Velvet Cake is a welcome to the co-operative present made by Mallory for one of our member meetings.